LinkedIn isn't just a social network; it's a powerful tool for individuals and companies alike who are looking to build new relationships, boost their brand and most importantly, generate leads. The Salesforce 2015 State of Marketing report stated that LinkedIn is the third most popular used social network for business owners - with 62% of business owners saying that they use the platform. Statistics also suggest that LinkedIn may be the most effective platform for product launches, with a staggering 81% of B2B businesses saying that they successfully use LinkedIn to launch new products. As with all parts of your marketing strategy, the content that you create and share is a fundamental part of you generating the leads that you're looking for. Content on LinkedIn is no different. LinkedIn defined great content marketing in this report, The Content Marketing 50: Manufacturing Edition, as regular company page updates, employee shares, influencer and employee posts through the publishing platform and of course, engagement from customers or brand advocates. Siemens are an excellent example of a manufacturing business that uses their LinkedIn company page well in terms of the content that they share. Take a look at the example post included below; their message is relevant, engaging, includes imagery and importantly, a link back to their business. This post also highlights the personality and the business values behind the products that Siemens manufacture, which is integral to building brand authority. 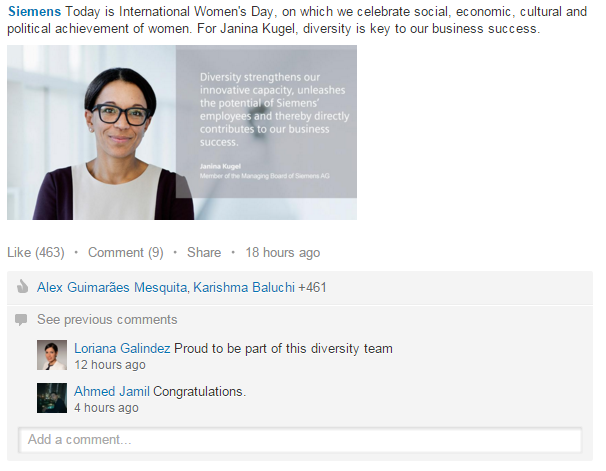 Scrolling through Siemens' company page, all of their messages have high engagement from their followers, in both likes and comments, showing that their strategy is resonating with their audience - which also means that they're posting the right content, in the right format. Siemens also stick to the 80/20 rule when it comes to their LinkedIn page, sharing relevant industry news, and 'hot topics' as well as company updates and posts about their products and services. When you're a company that has more that one buyer persona, or even many different avenues that you operate in, it can be quite a balancing act. You might even feel like you're in danger of not giving one enough attention, or confusing your personas by posting content that doesn't appeal to them. So LinkedIn found an answer... they created showcase pages. Showcase pages are niche pages that branch off a company page. They allow a company to promote their specific products or services to a particular buyer persona (as users can follow individual pages without following the business or other showcase pages). As a marketer, you now have the ability to promote content to a personalised audience through your LinkedIn company page. 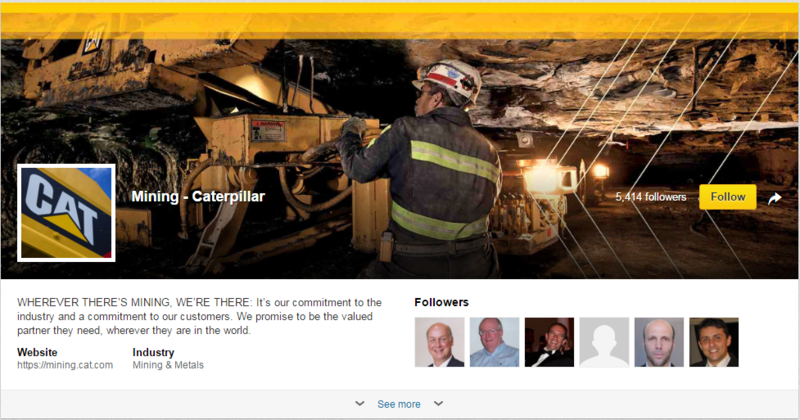 Caterpillar have various showcase pages that focus on their particular product and service offerings where they share relevant content that wouldn't be of interest to their other buyer personas. By splitting out their products and services, Caterpillar has ensured that the content they share will always be relevant and engaging for their audience. While posting on job boards and career websites has typically been the best place to find correctly qualified job applicants, the use of social professional networking sites for recruiting has drastically increased in the past few years. 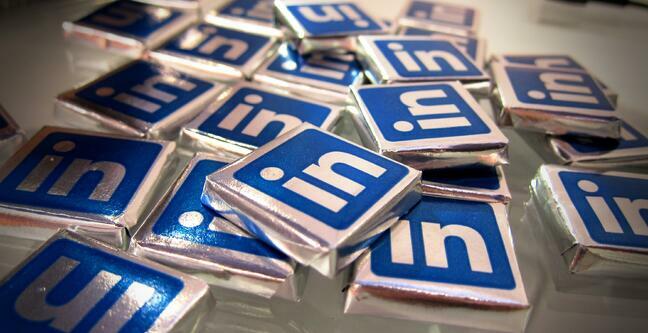 The most effective network is LinkedIn and its company pages. According to research carried out by LinkedIn, professional (and social) networking sites have seen a 73% increase in job recruitment usage, compared to a 15% increase for internet job boards and a 16% decrease for agencies. This means that social networks are becoming the preferred channels for promoting talent. So, what does a great careers page look like? It isn't all about the jobs that you're advertising, but also showcasing your company as a fantastic place to work, which is exactly what BP do on their careers page. Through the use of video, BP makes you want to work for them; 'you'll be essential in making our brands and products stand out'. They ensure that you know you'll be a valued member of the BP team and to support this, share what current employees have to say about working for the business. They definitely tick every box when it comes to their careers page. It is a common misconception within the manufacturing industry that people won't be interested in what you have to share, or what you're writing about. But that's not the case, marketing and using content in the right way can help you to generate leads. Download our eBook, Sales and marketing strategies for manufacturing, and discover how you can learn to grow your sales pipeline with better business leads through the use of LinkedIn and other digital marketing techniques.